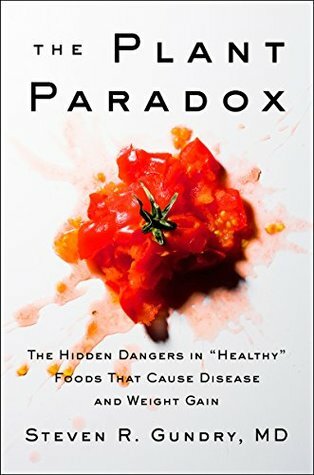 From renowned cardiac surgeon Steven R. Gundry, MD, a revolutionary look at the hidden compounds in "healthy" foods like fruit, vegetables, and whole grains that are causing us to gain weight and develop chronic disease. Dr. Stephen Gundry explains that these defense strategies make the seemingly virtuous plants that we consume every day—fruits, vegetables, grains, nuts, and seeds—far less "good for us" than we assume. Plants may use physical deterrents (think: the spine-tipped leaves of an artichoke or the hard outer coating of a seed) as well as chemical warfare to repel predators. One of the most common forms of plants’ chemical defense system comes in the form of proteins called lectins. Vegetables like tomatoes and peppers are full of lectins—but most are contained in the skin and seeds. Simply peeling and de-seeding your favorite veggies makes them safer to consume. Plants want us to eat them when they’re ripe to disperse their seeds! Eating fruit at the peak of ripeness—that means fresh, local, and seasonal—ensure that you will consume fewer lectins. Think "whole grains" are healthy? Think again. All of those grains and seeds with hard outer coatings are designed by nature to cause digestive distress—and are full of lectins. In fact, wheat contains one very famous lectin: gluten.